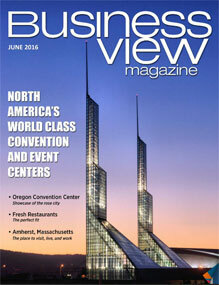 Business View Magazine profiles The International Centre , the leading multi-purpose convention venue in Central Canada. First opened in 1972, The International Centre (TIC) is one of the only privately owned, multi-purpose trade and consumer show conference facilities in Canada. With more than 548,000 square feet of total exhibition and meeting space, including a 48,000 sq. 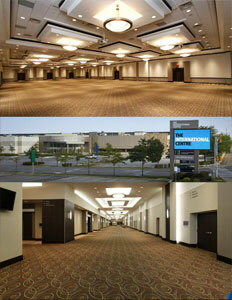 ft. conference centre featuring 15 multi-purpose breakout rooms, it is also one of North America’s largest venues. The state-of-the-art facility offers leading edge audio-visual technologies, including ultra-high-speed wireless Internet, and moveable lighting systems, screens, projectors, and sound systems. The International Centre hosts over 1.7 million visitors a year who populate the Centre’s 500-plus annual events. Karen Wren, Director of Marketing, agrees. “Our brand is our people,” she says. “So it goes back to customer service and the dedication of our team. That’s number one.” The Centre has a full-time staff of 100, growing to over 300 during peak season with added casuals and part-timers. According to Wren, additional advantages of the Centre include its location outside the city core, allowing it to offer 5,000 complimentary parking spaces, its easy access to major highways and public transit, its advanced audio-visual and presentation technologies, its versatile room configurations, and its culinary excellence. In fact, for two years running, TIC received M+IT Magazine’s Readers’ Choice Award, which recognized it as the leading venue in Central Canada that exceeded Canadian meeting and event planners’ expectations. In addition, TIC just completed a $7 million renovation, begun in 2012, that dramatically enhanced the facility, following a 20+ million dollar investment in a new kitchen, food service, and conference centre. Some new upgrades include: a newly renovated Hall 1 lobby; a newly constructed Connector Building; major lighting retrofit projects comprising state-of-the-art LED technology; increased internet speeds and venue-wide WiFi hot spots; and great strides in reducing the facility’s overall energy usage by installing more high-efficiency equipment, such as Canada’s largest Bullfrog Powered kitchen, and implementing a large number of other energy- saving, sustainable practices. TIC’s commitment to sustainability is not new. In 2008, it made a commitment to start purchasing more responsibly by signing Greening Greater Toronto’s Commitment to Buy Green. The goal of this commitment was to increase the sustainability in the Toronto region through business, government, and non-profits. The commitment aims at leveraging groups of companies’ purchasing decisions to reduce waste, energy use, carbon emissions, and other environmental impacts. Today, the Centre is the only facility of its kind in the Greater Toronto area to have two professionals on its staff dedicated to sustainable business practices. In addition to its lighting retrofit, which substantially lowers its carbon footprint, TIC’s 8,000 square foot kitchen has Alto-Shaam Eco Smart ovens which are 40 percent more efficient. All of its washrooms and stairwells have occupancy sensor lighting to avoid energy consumption when not in use, and air curtains in the loading docks reduce HVAC use, especially during event move-in and move-out. Newly installed skylights in two of its exhibit halls introduce natural light and a “cool roof” on over 100,000 square feet of rooftop space helps reduce any heating of the building by sunlight. The Centre purchases 354 megawatts hours of clean electricity and 1298 gigajoules of clean, natural gas annually, which is created by Bullfrog Power’s renewable energy facilities, replacing the equivalent of dirty energy in the grid. The International Centre has partnered with Partner’s in Project Green’s (PPG) Electric Vehicle Charging Station Network, and has installed charging stations at its main Conference Centre entrance with two parking spaces dedicated to electric vehicles. The Centre purchases 100 percent compostable packaging for all of its retail areas, and provides china at its main restaurant, the Craft Eatery, to reduce waste. Even its napkin dispensers have been selected to only release one napkin at a time to reduce over consumption and wastage. In the kitchen, all of its food waste is composted – over 86 metric tons per year – and its used cooking oil, approximately one metric ton annually, is recycled and used to heat barns at a local farm. TIC also recycles an average of over 1000 pounds of electronic waste, annually, through e-waste collections, sending it to a facility which properly dismantles and recycles usable materials. Equally committed to water efficiency, TIC has installed motion sensor faucets in all of its washrooms and switched to low-flow, automatic flush technologies which can save over 130,000 gallons of water per year. The facility uses a Salvajor trough system in its stewarding department. During the scraping and pre-rinse process, the system re-circulates water at a rate of 70 gallons per minute, saving close to $2,000 per year compared to uncontrolled fresh water trough systems. TIC has the lowest water consumption in comparison to 29 other venues, globally, according to the 2015 Green Venue Report which showcases the state of convention and exhibition center sustainability. The Centre has partnered with Toronto and Region Conservation to purchase locally grown items from farmers less than 10 kilometers from the facility, and, in addition, its own 1,000 square foot rooftop and 500 square foot patio gardens allow it to grow some of its own herbs and vegetables. The facility has been recognized for its achievements in sustainability with a Level One ASTM/APEX Certificate for Environmentally-Sustainable Meetings and Events—a designation only 14 venues in North America have—and a 4 Green Key Rating from Green Key Meetings v2.0., the first venue in Canada to receive a rating from Green Key Global’s Green Meetings Program. In 2011, TIC received a Leadership in Sustainability (Hospitality Sector) award from Partners in Project Green (PPG), and most recently was awarded the Green Key Meeting Award by the Hotel Association of Canada. The International Centre is also a founding member of the Greater Toronto Airport Authority’s Partners in Project Green Hospitality Consortium. Lui reports that the Centre is also very active in many industry associations. “We take part in the associations as advocates and volunteers who sit in higher capacities to be an influence within this industry,” he says. “We’re very involved in that perspective.” TIC is a member of: MPI (Meeting Professionals International); CSAE (Canadian Society of Association Executives), which is the Canadian arm of ASAE (American Society of Association Executives); and CAEM (Canadian Association of Exposition Management), which is the Canadian arm of IAEE (International Association of Exhibitions and Events). The Centre has also been recognized as a company that gives back. Indeed, in 2014, it was awarded the ‘Give Back Award’ from CAEM for its ongoing commitment to its surrounding community. It supports many education programs throughout Ontario, and has invested significant time and money in academia aimed at developing the best event talent in the industry, mentoring 40 college students through internship and co-op programs over the past five years, alone. TIC’s “Home Grown Talent” approach opens doors for hospitality and foodservice graduates to hone their skills under the tutelage of some of the industry’s leading executives. TIC has also hired some of its former students as full time employees in event logistics, client services, culinary, and sustainability. Supporting initiatives include bursaries and scholarships, including a $25,000 contribution to Humber College’s School of Hospitality, Recreation and Tourism for the development of its new Culinary Centre. TIC executives and managers volunteer their time to serve on academic advisory councils, consulting on curriculum focused on developing a new breed of highly-specialized, industry professionals. Additional organizations supported include: Breakfast for Kids, SickKids Foundation, Habitat for Humanity, Friends of We Care, The Red Cross, The World Wildlife Foundation, The Phoenix Ball Trillium Foundation, Big Brothers, Big Sisters of Peel, and The Mississauga Food Bank. Lui believes that The International Centre’s success over the past several years, as it has continued to gain more and more convention business, is attributable to its past performance in implementing industry firsts, as well as its ongoing commitment to stay relevant and current. “We’re really focused on understanding and listening to the beat of the industry,” he says. “We were first-to-market with a lot of our sustainability initiatives five or six years ago; we’ve been first-to-market on our push for creating a better experience with technology in events; we were first-to-market in Canada with how we addressed the quality and healthy choices of food. We like to think that we’ve been ahead of the curve. And it’s that kind of thinking and effective action that has put The International Centre ahead of the pack, as well. Check out this handpicked feature on Markham, Ontario – Canada’s most diverse community.